The Avengers ran into a formidable foe in AVENGERS: INFINITY WAR. Thanos (Josh Brolin) successfully collected all of the Infinity Stones, and then snapped away half of the existing universe. The surviving team is expected to mount a counterattack in April’s AVENGERS: ENDGAME … but what happens after that? There’s no shortage of spectacular villains in the Marvel Universe who could create all sorts of headaches for the Avengers on the big screen. Some of them even belong to the Marvel Cinematic Universe, thanks to deals that Disney has made (or is expected to make) with Sony and 20th Century Fox. Who can fill the shoes and menace the MCU for years to come? Here are five options we’d love to see in upcoming Marvel Studios movies. Who are you thinking of? Quite possibly the most powerful and conniving antagonist in the Marvel Universe, Victor Von Doom has tussled with virtually every superhero in the pages of Marvel Comics. Doom is a power-hungry schemer who’s frequently plotting to take over the world, in some fashion. Fox tried to use Doctor Doom in both of its recent FANTASTIC FOUR franchises, but a proper MCU adaptation of the evil character could impact multiple franchises, from DOCTOR STRANGE or SPIDER-MAN to the full AVENGERS series. Norman is an intriguing option, because we assume that Marvel Studios has the rights to the character now that they share Spider-Man’s universe. Traditionally a Spider-Man villain, Norman Osborn goes on to become the Green Goblin and is a classic Marvel foe. But in recent years, Norman also used his powerful company, Oscorp, to commit heinous deeds and even led multiple super-powered groups like H.A.M.M.E.R. (an answer to S.H.I.E.L.D.) and the Dark Avengers. There’s a lot of potential with Norman Osborn, if Marvel Studios wanted to use him. 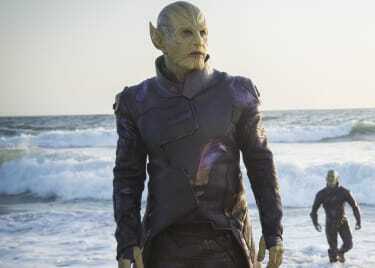 The origin movie CAPTAIN MARVEL will bring the Skrulls into the MCU, which means the possibility of us seeing Super-Skrull on screen in the future grows exponentially. First seen in the comics way back in 1963, Super-Skrull is a genetically modified Skrull warrior who is given all of the powers of the Fantastic Four, as well as the usual shape-shifting abilities that come with being a Skrull. We could see Super-Skrull being hinted at in the end credits of CAPTAIN MARVEL, and then showing up in an official FANTASTIC FOUR movie down the road. One reason that we are excited for the creative merger between Disney and Fox is because of the sheer number of important characters who will make their way over to the Marvel Cinematic Universe. Already on this list, we talked about Doctor Doom and the Fantastic Four — characters that currently belong to Fox. The X-Men also would make the trek from one studio to the other, and this means that an MCU Magneto could be reintroduced to create havoc for our heroes. Magneto fights for the rights of mutants and doesn’t hesitate to destroy humanity to achieve his goals. He’d be a powerful adversary for many existing Marvel heroes, so let’s see what he’s capable of. Finally, if Marvel Studios plans to take more of its adventures to outer space in future movies — as they plan to do with CAPTAIN MARVEL and a possible GUARDIANS OF THE GALAXY 3 — then they might want to make room for the Silver Surfer and Galactus, the consumer of planets. Essentially, Galactus is a skyscraper-sized foe who literally devours planets, draining them of their energies so that he may survive. The Silver Surfer tends to scope out potential “meals” for Galactus, and if Earth became a target, that could be a threat-level event that would require a massive Marvel team up. Again, Galactus was used in FANTASTIC FOUR: RISE OF THE SILVER SURFER, but not properly, so let’s give the big fella a second chance! 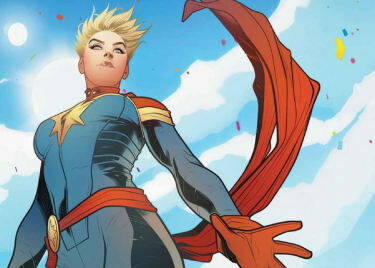 The next Marvel Studios movie hitting AMCã will be Anna Boden and Ryan Fleck’s CAPTAIN MARVEL, and tickets are available for it right now! 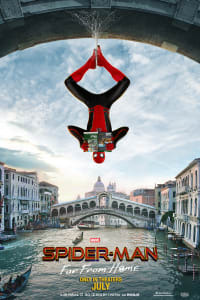 After that, prepare for AVENGERS: ENDGAME on April 26, and then SPIDER-MAN: FAR FROM HOME on July 5.